Duct & Vent Cleaning of America, Inc. recently completed a HVAC project at a well known Hartford area hospital. The hospital's surgical training unit, used to train surgeons with the Da Vinci minimally invasive surgical robotic technology, was scheduled to undergo repairs. 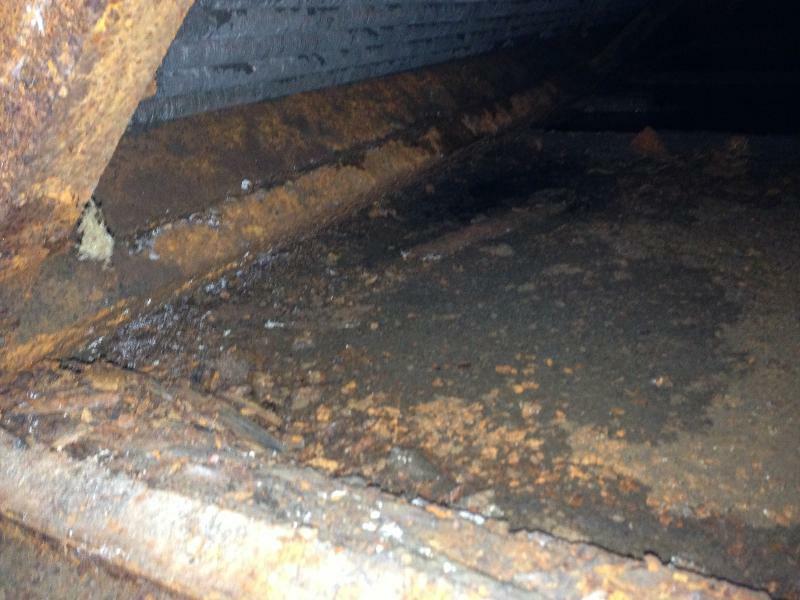 However, due to a badly rusted drain pan in the air handling unit, the construction and repair could not continue until the drain pan was either replaced or repaired. 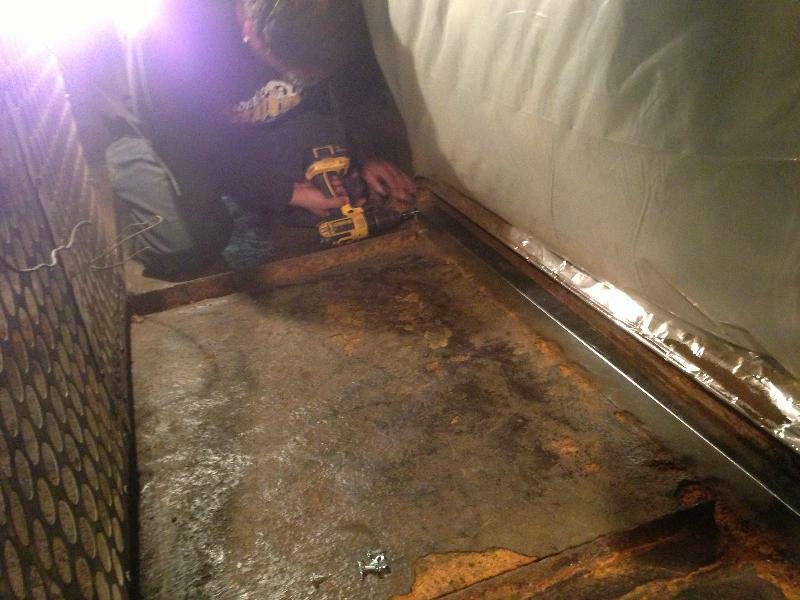 Duct & Vent Cleaning of America, Inc. Vice President, Jim Choquette, explained that removing the 100 square foot rusted drain pan would cost the hospital tens of thousands of dollars, and that drain pan restoration was a much more reasonable and effective option. Duct & Vent Cleaning of America, Inc. restored the drain pan by stabilizing it, then sealed and structurally repaired the pan with V570 sealant and new sheet metal patches. They then added Pancrete to the drain pan once the sealant cured. 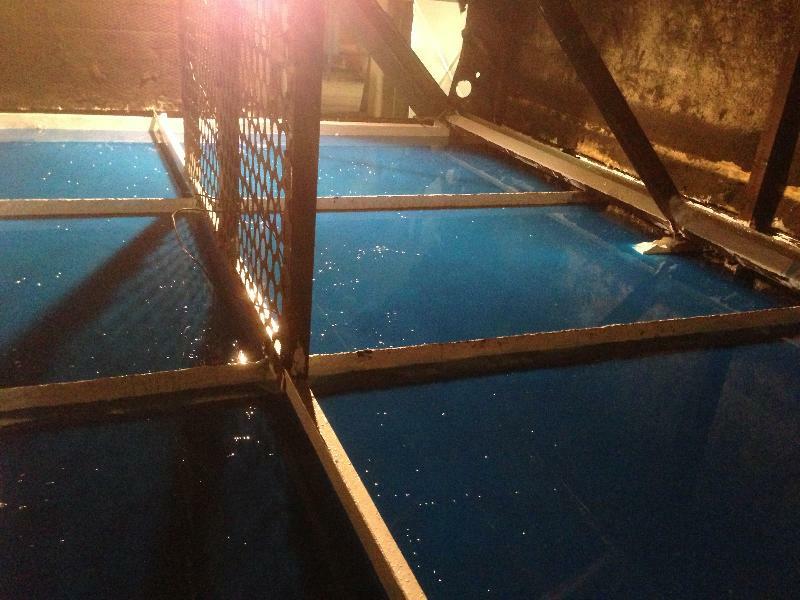 This process refurbished and increased the structural integrity of the once badly damaged drain pan. A typical restoration job takes two or three days to complete. Duct & Vent Cleaning of America, Inc. had only one day to complete the entire process, as the surgical training unit could only be shut down for 24-hours at most. This meant that from 6 a.m. to 6 p.m., the Duct & Vent Cleaning of America, Inc. team was hard at work. The team also had to utilize special engineering controls so not to disturb the active hospital, or contaminate it with dust and fumes from the restoration process. McKenney Mechanical and Duct & Vent Cleaning of America, Inc. worked side by side to complete the surgical training unit repair. Bob Platt of McKenney Mechanical spoke highly of his experience with Duct & Vent Cleaning of America, Inc. When asked about the new quality and appearance of the drain pan, Platt said, it was "Absolutely beautiful!"